Private office and coworking options are available with 24/7 access at this business centre near the TGV railway station and the airport, a stone's throw from the city centre. A meeting room that holds up to 17 people is available while your guests will be greeted in a reception area with the utmost courtesy and professionalism. Within the immediate area, you can find a shopping centre, which houses an abundance of restaurants, cafes and local amenities. Close by, there is a bowling alley and multiple sports complexes. Just two hours from Paris via the local TGV station this centre is on the top floor of a modern three-storey building in the very heart of Rennes. As well as a shopping centre, restaurants and retailers close by, the centre itself provides 24-hour access and a relaxing outdoor space. And with a Metro stop just outside and the TGV station five minutes away, it’s a strategic base for access across the entire region. 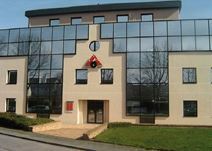 A stone’s throw from the city centre, near the Rennes Atalante technopole, this contemporary work environment provides a choice of 38 offices that range from 9m² to 32m² along with meeting rooms that can cater for up to 20 people. Coworking space also available. Within the immediate area, you can find a full range of local amenities such as restaurants and cafes in which to entertain clients. There is also a great selection of shops to explore and enjoy outside of work. 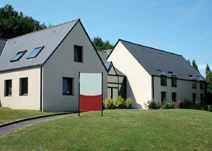 Just 15 minutes from the heart of Rennes City Centre this location has fantastic access to the TGV station and Rennes airport and offers a choice of both coworking and private serviced office options. The centre is accessible 24/7, allowing you to work through late hours. This, along with conference facilities, makes this space the perfect workspace solution for companies that value connectivity and efficiency.